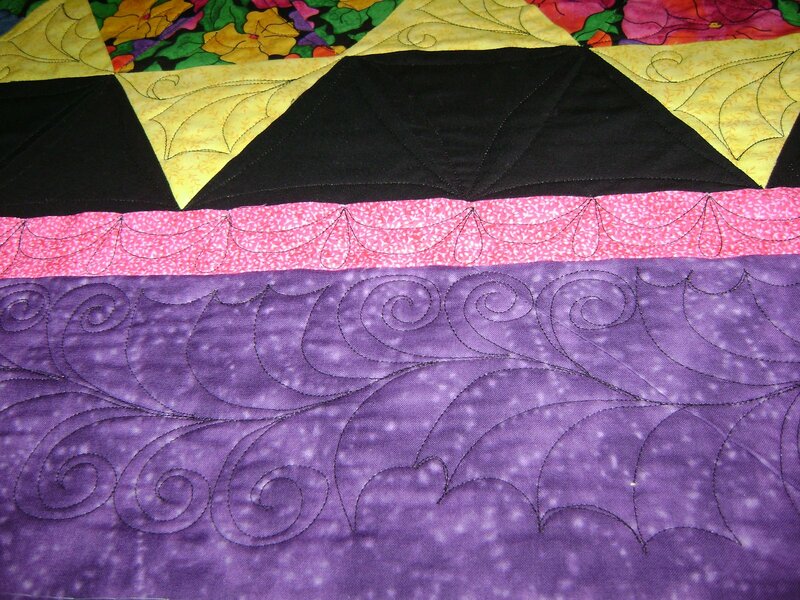 The next finished quilt. I’m trying to balance between an easy finish with a more difficult finish so I don’t push myself too much. 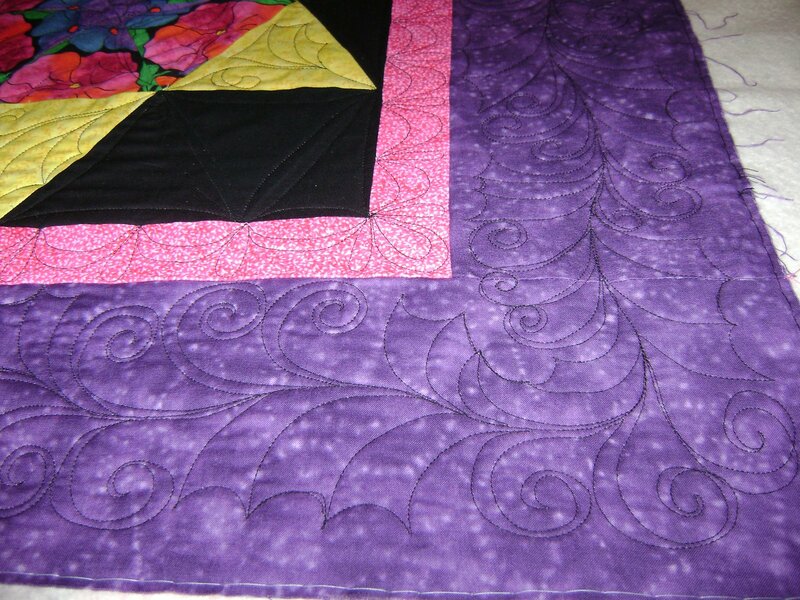 This one turned out to be a two day quilt. I did line dancing on the black background. I did a new design on the border. I really like this design. 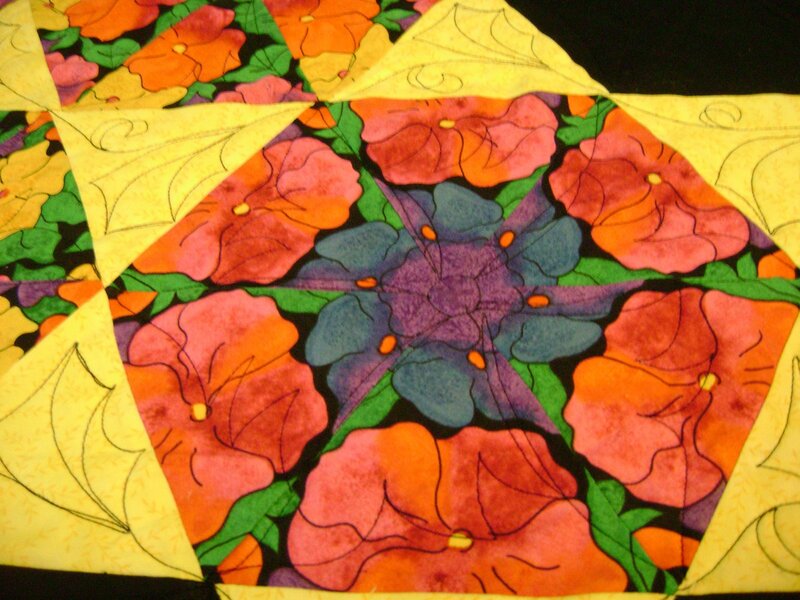 I’m going to use it on some other quilts. I did a swag design on the inside border. I did a leafy design on the yellow pieces. 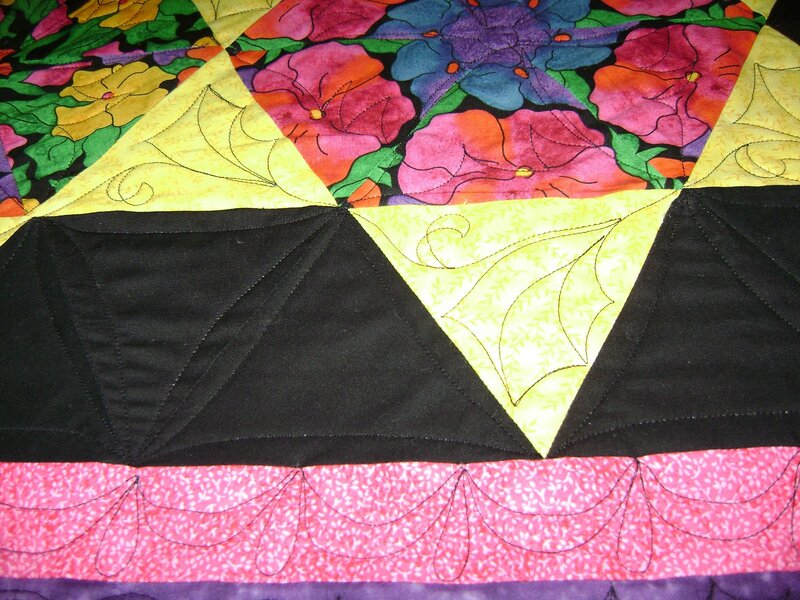 It sort of mimmicks the border design. 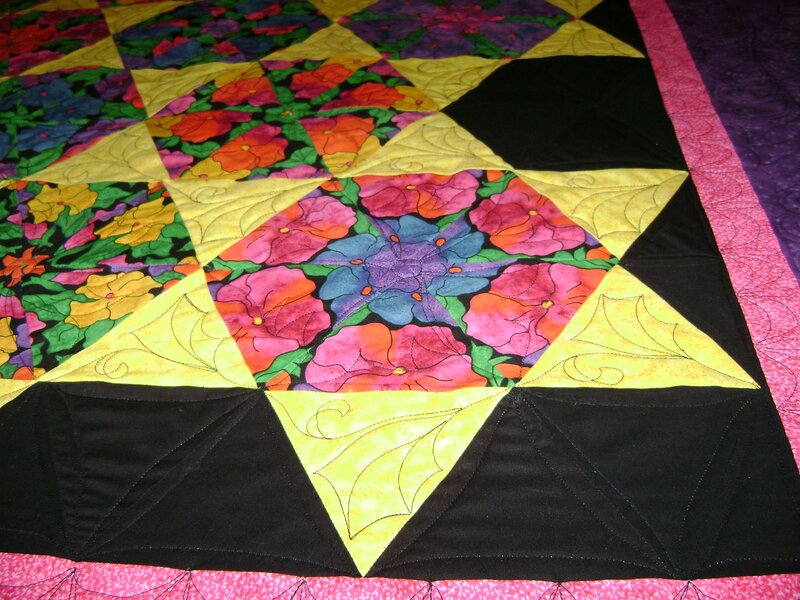 I did a flower power design on the stack n whack centers. I have another easy one on the machine for today. After that I will be working on a 3 or 4 day one. By balancing between an easy and a difficult top I feel as if I’m making progress. To do only difficult ones back to back it seems to drag on and on and on, like I’m not getting anywhere. To do only easy ones back to back will leave only the difficut ones. 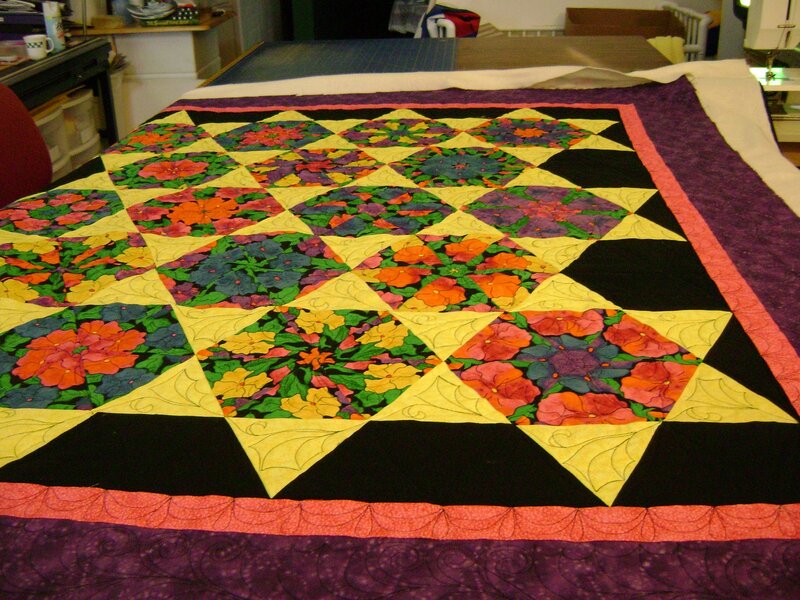 This entry was posted on October 30, 2008 by Anita in QUILTS - CUSTOMER.